The depot serves as the museum of the Pigeon Historical Society. It is open Thursday & Friday 10:00am to 3:00pm and Saturday 10:00am to 1:00pm during June, July, and August. Walking path, baseball diamonds, playscape, pavilions, picnic tables, and more for you and your family to enjoy. 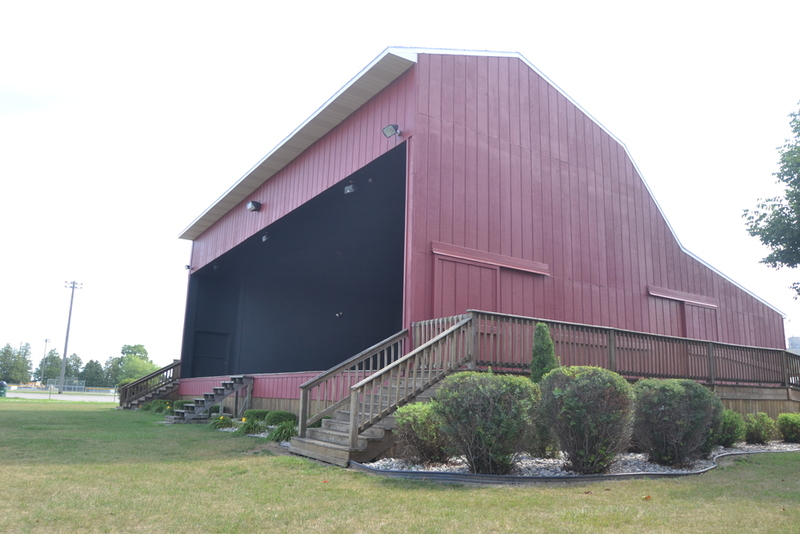 The Pigeon Band Shell was designed to provide a forum for local talent and to provide a wide variety of entertainment for local residents and vacationers. You will find a variety of family-friendly music and events held here throughout the summer. Pigeon has a rich history of serving the farmer. Today we honor our farm community by enlarging and updating the historic Pigeon Farmers’ Market. Today’s Pigeon Farmers’ Market is held every Friday (May 4, 2018 – October 26, 2018) in downtown Pigeon. The Farmers’ Market building holds 12 indoor spaces and outdoor vendors will be set up around the Pigeon Depot Museum and in the Pigeon Village parking lot. There is space for over 40 vendors who will provide you with an excellent market experience. There are a number of fun festivals and events held throughout the year. For more information, click the button below.